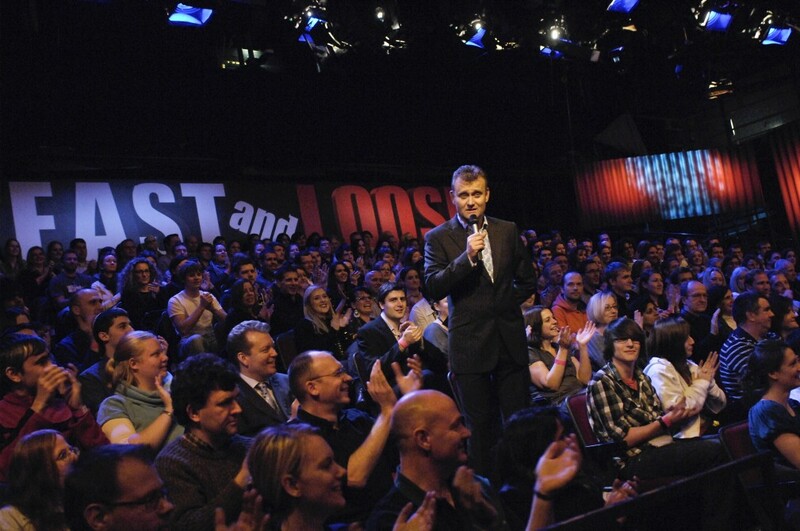 Airing on BBC 2 in 2011, Fast and Loose was an improv based comedy show hosted by Hugh Dennis. Each week, six up and coming performers tackled a series of challenging games in an atmosphere of music, mirth and mayhem reminiscent of early British Whose Line Is it Anyway? Guests included Greg Davies, Edinburgh Comedy Award winner Laura Solon and, making two special appearances, Wayne Brady. Games played included the frenetic Forward Rewind, slippery Sideways Scene and inimitable Interpretive Dance.